Synopsis: (Goodreads) : Only those young enough can survive the pulse-pounding rush of tetra, a dangerous and addictive new drug that fuels a nine-minute burst of superhuman strength and speed. Alana West has been trained to use the drug so she can pursue the young criminals who abuse its power—criminals like the breakneck who nearly killed her kid brother. 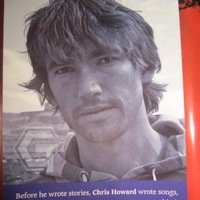 I was really intrigued by Night Speed by Chris Howard when I first read the synopsis, it sounded unique and thrilling and thankfully it was a book that I really enjoyed despite a few minor issues. Our MC is seventeen year-old Alana West who has been trained to use a drug called tetra which gives a nine minute rush to pursue criminals who abuse its power, she is good at what she does but knows her time using the drug is coming to an end. Alana started using tetra in an effort to fight the breaknecks that use the high speed rush to fuel their crimes and their getaways. But when she is blamed for a breaknecks death, she goes undercover to take down the source within the organisation. She is also on a bit of a revenge mission to find the person responsible for nearly killing her little brother. Alana was an interesting character; she is constantly desperate for her next fix and her thought process was conflicted on numerous occasions which highlighted her addiction, you could also feel her emotional struggles especially when it came to her brother. There is a snippet of romance but it isn’t at the forefront of the story, I wasn’t 100% sure who her real affections were with, her handler Tucker or a breakneck who she befriends, Ethan. 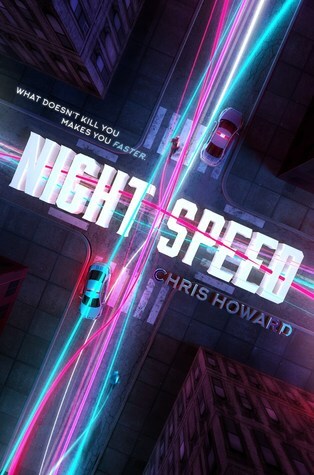 Night Speed takes you on a thrill-ride; it is fast paced and gives us enough information without overwhelming us. A lot of important subject matters are touched upon in this book; drug use and addiction, revenge, morals and consequences and I felt like they were dealt with well. I liked the concept, it reminded me a little of Rush by Eve Silver, another series which I enjoyed. The main strengths of this book include an intriguing world, plenty of action, and entertaining writing that keeps you turning the pages – there were also a few twists that I definitely was expecting. The main weakness of this book were the confusing relationships, I was never quite sure who could be trusted. Night Speed is written well and is a fun, action packed story with an interesting cast of characters; a great setting and compelling plot. Thank you to Katherine Tegen Books for the opportunity to read and review Night Speed. About the author: (Goodreads) I'm the author of ROOTLESS(Scholastic), as well as the follow-up THE RIFT which isOUT NOW. The third book, THE RECKONING, will be out in early 2016 and then... NIGHT SPEED is out MAY 3rd, 2016, from Katherine Tegen Books/HarperCollins. I'm excited!! Sounds like a fun thrill ride. And I like the lack of romance when it comes to a book like this.